Matt Doyle, a 2016 engineering graduate from Guilford, Connecticut, never dreamed of attending an out-of-state school. However, not long after he decided to apply to Clemson, Matt was notified that he had been awarded a significant amount of financial aid. Thanks to many generous donors like Chuck and Sue Fish, Matt no longer viewed Clemson as just a Southern university where people wear lots of orange. It was now his future. Chuck Fish graduated from Clemson in 1982 with a bachelor of science in electrical engineering, and in 2012, he and his wife, Sue, made a commitment to establish an endowed fund, ultimately to leave their legacy and provide College of Engineering, Computing and Applied Science students from out of state with a wonderful college experience. This commitment originated with the Chuck ’82 and Sue Fish Annual Engineering Scholarship, which they have funded over a four-year period. 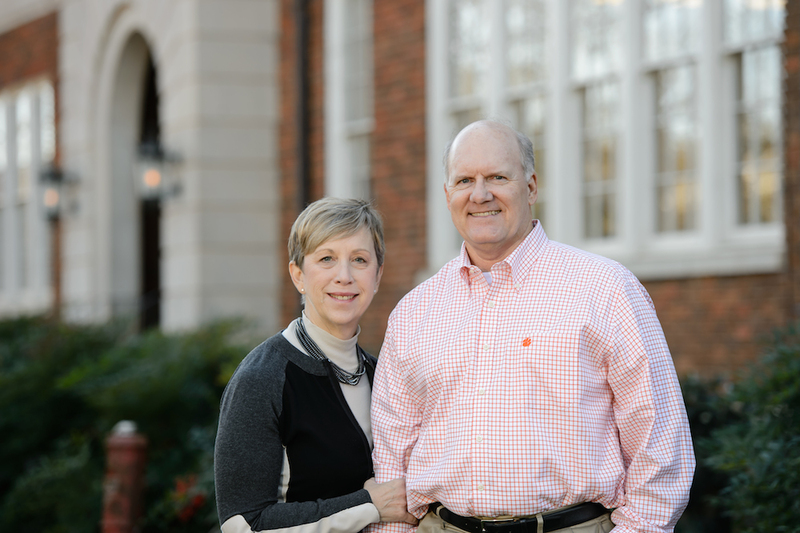 Prior to establishing the scholarship, Chuck reconnected with one of his classmates, Doug Gray ’82, who serves as a development officer for the College of Engineering, Computing and Applied Science. “Because he was in development and in engineering, we talked about doing a scholarship. He was the one who really helped us put it together,” said Chuck. “It’s been great having someone Chuck’s known since college be a part of this with us,” said Sue. The couple has had the privilege of seeing the impact their commitment has made on students, including Matt Doyle. “He is a wonderful young man, and he was so grateful in having this because the scholarship we did was an engineering scholarship for a student who was out of state,” said Chuck. The couple and Matt have met many times and developed a friendship, ultimately making the scholarship even more meaningful. Chuck and Sue’s financial support has made it more affordable for Matt to attend school in South Carolina than in his home state of Connecticut. “Without support like they’ve given me, I don’t think I’d be here. I don’t know where I would be in terms of financials. College is a big undertaking,” said Matt. “One of the coolest things was that Matt’s mother wrote us a letter. It was the most beautiful letter thanking us for our financial support of her son. It really meant a lot when she wrote us to let us know how much it meant to their family,” said Sue. Matt admits he has grown a lot in his technical abilities as a civil engineering major and a member of the American Society of Civil Engineers. “I’ve also grown in my relationships with other people including friends, teachers and, through internships, with other professionals. Overall, I feel really well prepared with moving on into the real world,” he said. And moving on, he is. 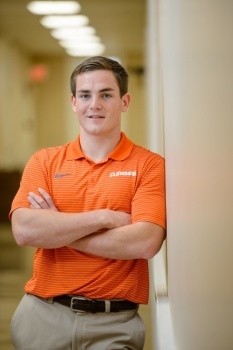 He has accepted a job in Raleigh, N.C., as a general contractor with one of the nation’s largest construction firms, Brasfield & Gorrie, where he interned during the summer of 2015.